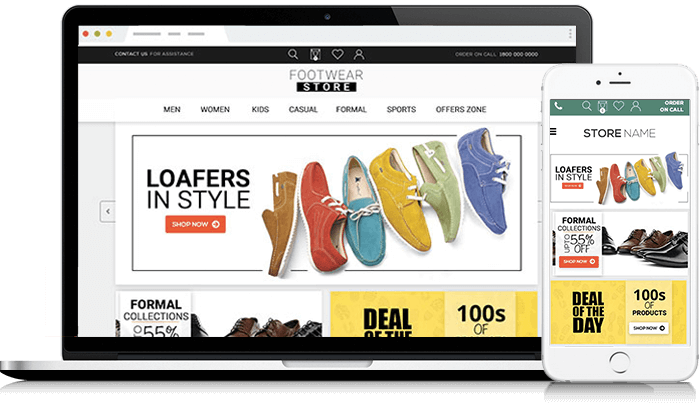 Developing an eCommerce front for your business in this day and age is inevitable. It is the easiest route to attract consumers from a wider demographic. Its convenience has transcended age and regional barriers. We will meet your requirements for robust Ecommerce Website Development for your venture and implement the latest technologies to ensure profitability. Online shopping has changed the concept of commerce, for the owners of online stores as well as for the customers. Ecommerce website development from Antechnologie will assist you in your online business by matching and synchronizing your company requirements with the current market trends in web-technology, and thus providing a rich buying experience on your web store. In case of an existing yet non-functional and ineffective online business platform, let our UI expert analyze your website, recommend suggestions and revamp it completely with a brand new e-commerce website design. Our highly experienced and dedicated team of web developers offers in-house e-commerce website solutions to all your e-commerce-related problems through open source shopping cart applications such as Open Cart, Joomla, Open Cart, Magento, Woocommerce, Drupal Commerce, Prestashop, Shpify or the latest Magento shopping cart application. Bybotech is one of the leading OpenCart development company in New Delhi, India. Which offers better and cheap E-commerce portal. Bybotech has worked on many successful Magento stores, extensions, design and development projects for businesses based in New Delhi. We are perfect in building, modifying and applying WooCommerce platform for various industries including B2C and B2B portals. The Drupal Commerce project is striving for strict adherence to the following development standards to produce the best quality code. We offer custom prestashop design, development, redesign and customization service as per client requirement. It support payment gateway also. If you are running a small or mid-sized business through e-commerce, then you have to choose Shopyfy framework. Its fast and cheap. What can i expect in terms of features?